Project Plait has formed a bit of a niche for itself in the years it’s been around. Adopting a form of site-specific dance performance, it stands out from the crowd by including a concept dear to all our hearts: food. Previous editions have included their virgin production Cardinal Sins at the now defunct Portico on Alexandra Road in 2015 surrounding the seven deadly sins, before evolving to take on more fiercely Singaporean themes, such as in Inheritance in 2017, where they tackled issues of national identity and tradition at Jiakpalang Eating House, also on Alexandra Road. In their latest edition, choreographer Naomi Tan and Chef Nixon Low dive into the annals of history, transporting audiences to 1937 where they’ll bear witness to an epic, star-crossed love story between a Samsui woman and an undercover spy for the British government, disguising himself as a simple satay street vendor. Unwittingly, the two fall in love, and as World War II comes underway, can their relationship stand the test of time and the darkness of war? 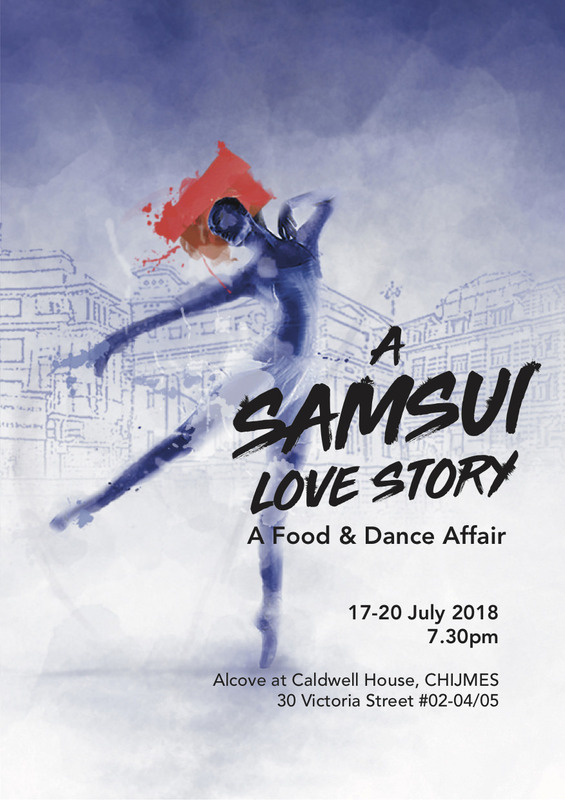 Taking place at the snazzy and classy location of Caldwell House Alcove at the historic CHIJMES, audiences can expect a 5-course modern Singaporean meal to enjoy alongside this interactive dining and dance experience. But be sure to throw all your preconceived notions out the door of what a traditional dinner and dance entails, because when it comes to Project Plait, expect the unexpected, and transcend time and space itself as you immerse yourself in this fascinating slice of historical fiction.